Viking Flooring Solutions was established to create a unique and customized experience for all our Chicagoland tile and flooring customers, a service that our industry has been lacking. We are a full-service Chicagoland flooring and tile business offering end to end service from selection to completion. Our ultimate objective is to go the extra mile to customize your experience throughout your project. Being a locally owned and owner operated Chicagoland small business, service excellence is our key differentiator! At Viking Flooring Solutions we have a vast selection of flooring and tile products. We provide access to over 40 vendors, including some of the most established and reputable flooring and tile suppliers in the business. Our customized service and attention to detail are what separates us from other Chicagoland tile and flooring companies. We offer design assistance along with drawings and renderings to assist our customers. 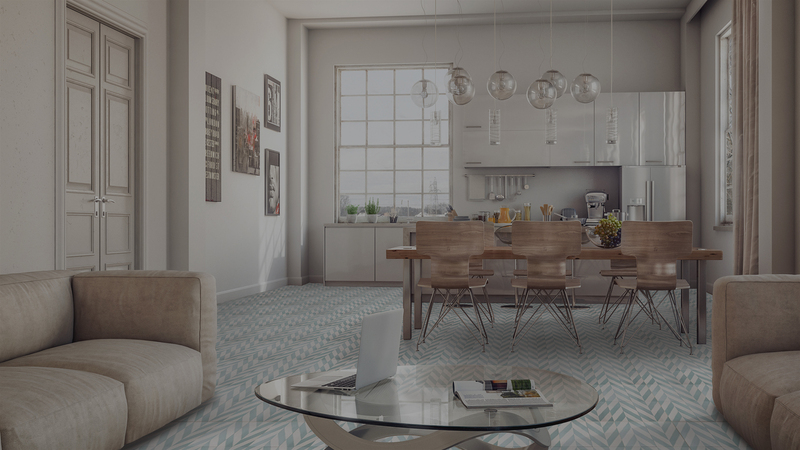 Our product knowledge and experience within the flooring and tile industry gives us an advantage over other Chicagoland companies. Natural stone products include items such as marble, travertine, limestone, slate and granite. These tile products are unique from piece to piece because they’re derived from nature and cannot be exactly replicated. Variation is an inherent characteristic of natural stone and increases the value of your home. We carry natural stone in a variety of cuts, designs and colors from across the world. Man-made material such as porcelain and ceramic have made strides in design over the years. These tiles are made of clay and other natural materials. There are porcelain/ceramic tiles that have distinct patterns, unique shapes and many tiles that are made to mimic natural stone. Options in man-made tile continue to push the boundaries with new design concepts and trends. Subway tile can be used to describe a variety of ceramic and porcelain tiles. More traditionally known as the tile we would see in a subway (3 in. x 6 in. ), subway tiles have expanded not only in size but color, texture and finishes as well. Subway tiles provide a clean look that can be used in a variety of styles and applications. 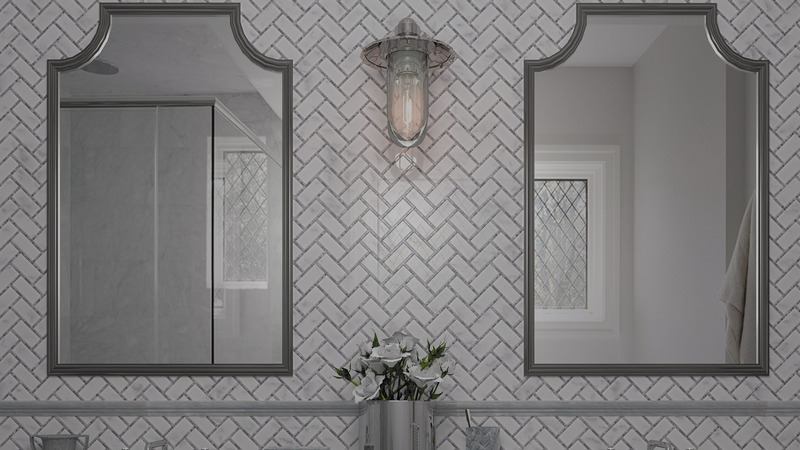 The popularity of subway tile has stayed consistent throughout the years and because the expansion in variety we are able to combine them with any type of home or building décor. Although commonly thought to be the same type of tile, these two types of tiles are different. 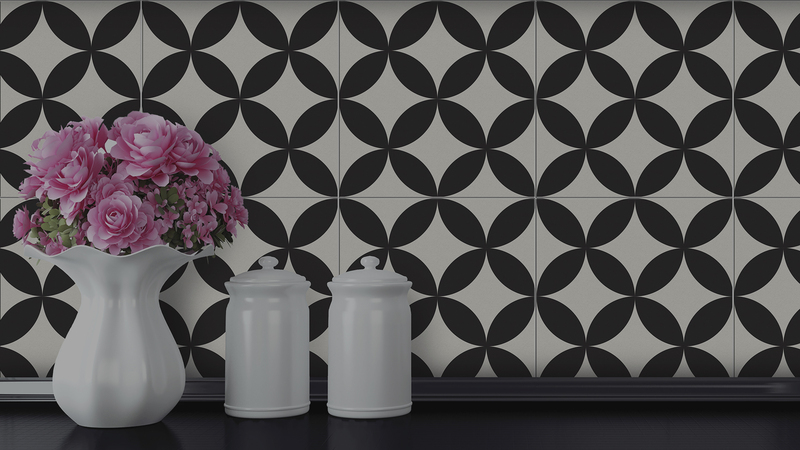 Encaustic tiles are made of two or more colors of clay whereas cement tiles are made of concrete. Both tiles wear extremely well. Encaustic and cement tiles can give your home a personalized feel due to its endless possibilities in color and pattern. Our exclusive Lili line allows our clients to completely customize their own design. Ledger stone, also referred to as veneer stone or stacked stone can add an amazing and unique look to both interiors and exteriors. From accent walls to homefronts, this type of tile has made its way into a variety of styles in homes. Ledger stone is easy to install and is interlocking with compatible out-corners to create a seamless look. With a wide variety in size, variation and cuts ledger stone can add to any look. Vinyl flooring offers unlimited design possibilities. It’s available in a wide range of colors, textures and patterns for every taste, home and lifestyle. At Viking Flooring Solutions offer a diverse selection of vinyl flooring products from top manufacturers. We carry Luxury Vinyl Flooring, WPC Vinyl Flooring and Laminate Flooring to make your project a success. Viking Flooring Solutions is centrally located in Downers Grove near I-355 and I-88. In our showroom, we carry a wide variety of specialty tile and flooring products. Our design team is here to support you in the personalization of your project. Our ultimate objective is to go the extra mile to customize your experience throughout your project. Being a locally owned and owner operated Chicagoland small business, service excellence is our key differentiator! We work with clients throughout the entire Chicagoland area, and also have the ability to ship products to customers out of state. We provide access to over 40 vendors, including some of the most established and reputable flooring and tile suppliers in the business. Designers, contractors, custom builders and retail clients appreciate the level of attention we devote to help fulfill their ultimate vision. Dan and his crew were absolutely professional from start to finish and went above and beyond for us. Our next project will be going to them. I cannot say enough about them! They did a great job! Dan was a pleasure to work with. He helped me pick the perfect tiles and trim for my bathroom project. Very helpful in picking out my flooring. Job was done professionally and very quickly. They even stained floor vents to match my new floors. Very satisfied.